What do I have to do to apply for one of these loans? The first step is to confirm your eligibility to apply for a loan in the Scheme by completing the Eligibility Application form available at www.sbci.gov.ie. You will receive an eligibility letter if your application is successful. This eligibility letter is not a guarantee of loan approval. Once you receive confirmation that you are eligible you must then engage with the Bank(s) to begin their standard loan application process. It is only at this stage that a decision will be made on credit approval. See SBCI Brexit Loan Scheme outline Document. Can I get a Brexit loan to repay existing loans that are on a higher interest rate? No, these loans cannot be used to refinance existing debt such as Term Loans, Leases, HP. Why can I not refinance existing loans that are on a higher rate? The resources are limited and therefore being targeted towards where they are most needed, to support cashflow impacted by Brexit creating additional credit. Can I get more than one Brexit Loan? How long will the bank take to assess my loan? This depends on the loan amount involved and if the bank has all the information it needs to process an application. The banks websites provide details on their loan application times. Can I apply for a loan to all the banks? Yes, you can apply to all Banks, however your eligibility code can only be used once. When you receive a loan offer from a Bank they will lock down your code and this cannot be used by another Bank. If you decide after that point to proceed with another bank, you will need to re-apply for a new eligibility code. The bank would not give me the amount/term of loan I wanted. The full amount of the loan may have not been available due to the De minimis threshold. Also, approval of a loan under the Scheme is subject to the banks credit policy. The maximum loan amount will not be appropriate in every case. If you are not satisfied with the reason given you can go use the bank’s appeal process. Will I need to provide security for a loan? Loans less than €500K should not require security. If I have loans with all three banks for circa €450k, are they all without security? Yes, provided the total of those loans is less than €500k. Loans greater than €500k may be secured. What is the interest rate on these loans? The interest rate charged is at the discretion of the bank but is limited at a maximum interest rate of 4%. The interest rate should be fixed for the term of the loan. What is the difference between and SME and a Small Mid Cap? State Aid can occur whenever State resources are used to aid an entity engaged in economic activity that potentially could distort competition and trade. The European Commission allows small amounts of state aid to be given to an entity as long as the aid complies with the De minimis regulations and remains below a certain threshold. Examples of sources of state aid may include funding under schemes from Enterprise Ireland, Bord Bia, Local Enterprise Office. What is de minimis state aid? The maximum amount of de minimis aid any single recipient can receive is €200,000 (gross grant equivalent) over a three-year fiscal period. The total amount of de minimis aid given to a single recipient performing road freight transport for hire or reward cannot exceed €100,000 over a three-year fiscal period. For loans under this scheme, the amount of de minimis aid which is provided to a borrower determined by the size and duration of the loan under the De minimis rules. Where you have received state aid, you will have received a letter from the State Body that provided it. Examples of state aid granting bodies include Enterprise Ireland, Bord Bia or the Local Enterprise Office. It stands for the “Statistical Classification of Economic Activities in the European Community”. It is the standard system used in the European Union for classifying business activity. NACE codes are divided into sectors such as retail, manufacturing, services. A searchable list of NACE Codes is available on the SBCI website. What is considered a family business? the owners and/or senior managers perceive the business to be a family business. What does operating in Ireland mean? It means that the main presence of business is in Ireland (excluding Northern Ireland). Why is agriculture not included in the Scheme? The policy underpinning the scheme is aimed at delivering innovation in small businesses facing the challenge of Brexit, especially food companies.  Agriculture working capital was covered in the SBCI Agriculture Cashflow Support Scheme that was released in 2017 and is excluded under the terms of the European Commission’s Innovfin support for the scheme. What does indirectly exposed mean in the Brexit Criteria? Indirectly exposed means that you are conducting business with an enterprise that is itself exposed to the UK (including Northern Ireland) market. Do you require original certs? What is considered innovative as per Innovation criterium? Who do I give the Business Plan to? Who completes the Business Plan? What is expected to be in the Business Plan? A guidance note is available on the SBCI website. Which boxes am I supposed to complete? You need tick only one of the Brexit Options that most applies to your business and only one of the Innovation Options that most applies to your business. It is important that all the declarations at the end of the form are completed as well. Who/What is an authorised signature? This is a person who is authorised to sign declarations on behalf of the business e.g. the business owner, CEO.